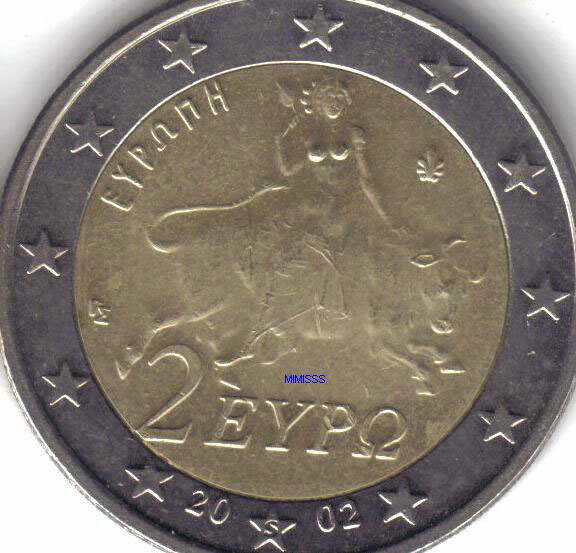 Above three different 2 Euro 2002 from Greece with a die errors, the die error on Europe's left foot and the die bikini variety seems to be quite common. Images provided by Mimis, special thanks to him for the nice images. 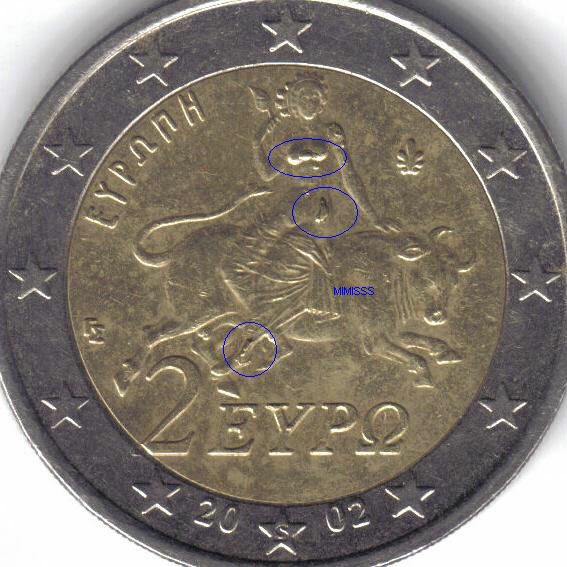 This is a 2 euro 2002 minted in Finland (marked S). 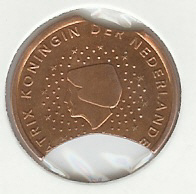 It looks like a weak strike but it isn't. 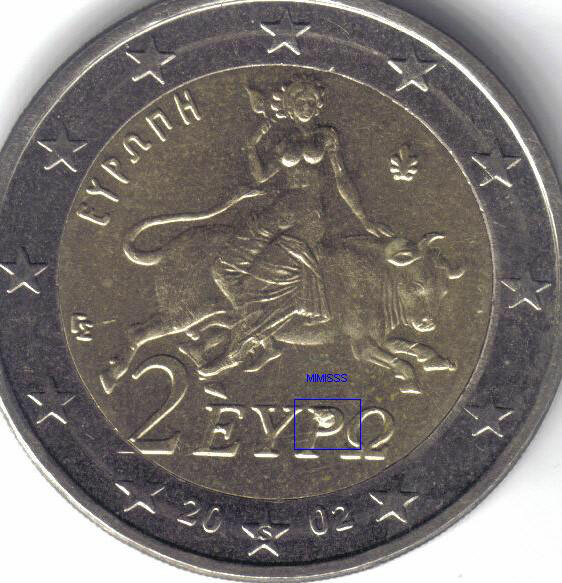 It seems that they used a different die because europe's breast are pointed out as usual. 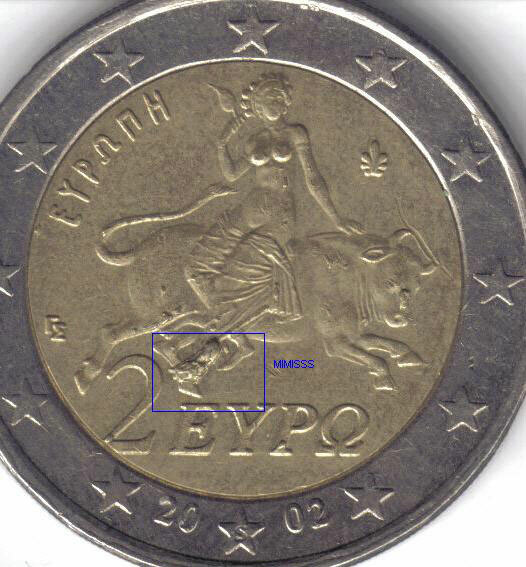 Found by Alexandros Kyriakidis, was reported in a Greek Coin Forum by the well known collector Christos Apostolidis.